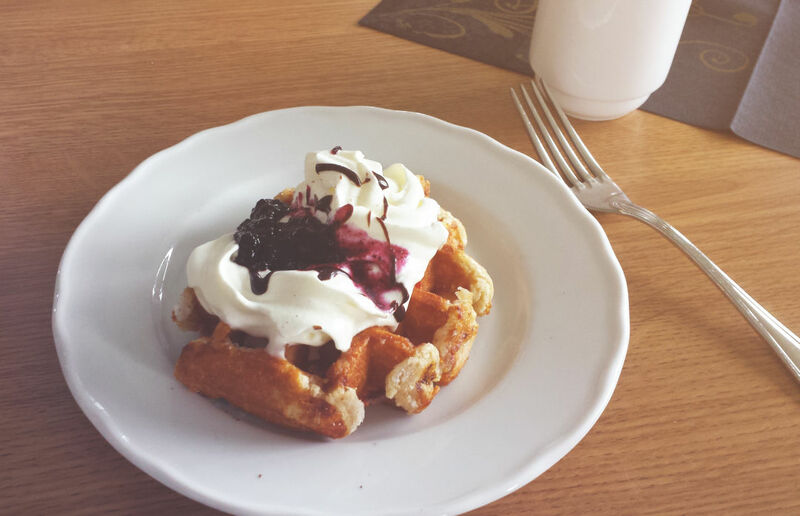 Early Dutch settlers brought their waffle irons to the New World with them. 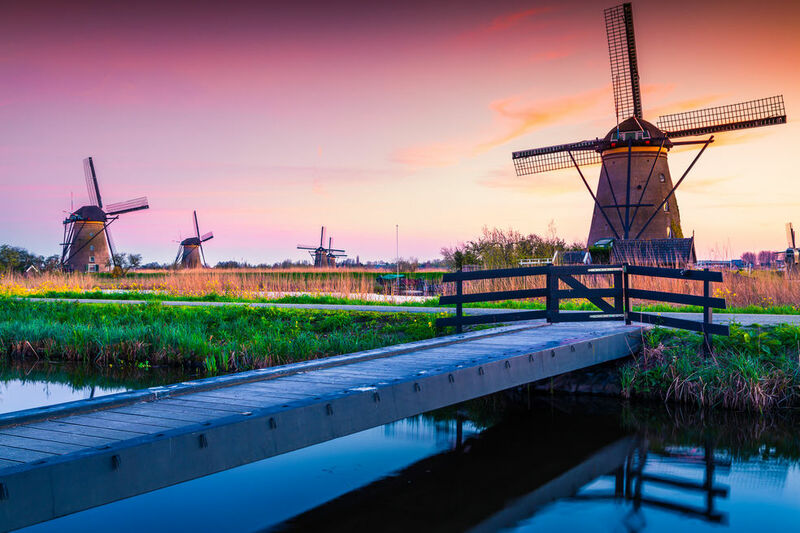 Think of Holland and it's likely that clogs, windmills and tulips will come into your mind. Chances are, your first thoughts aren't pancakes, coleslaw, apple pie, pretzels or donuts, all of which were brought into the New World by the Dutch. They also introduced waffles and historic ship logs show that early settlers brought their own waffle irons over with them. Back when New York was called New Amsterdam and Albany was known as Beverwijk, the settlers enjoyed a tasty range of meats, salads, fish, songbirds like larks and starlings, exotic spices and fruits. Cakes and pastries were (and still are) central components of the Dutch diet. This might be a bit generalized, but it's fair to say Dutch cooks love to do three things: deep-fry, mash and boil. If something can be breaded and fried, it will be. Vegetables are often mashed together (for example, potatoes with carrots and onions, or potatoes with kale, or another variety of vegetables) or else they are boiled. The weather is rarely good enough for grilling which is why hearty, stick-to-your-ribs stews, casseroles, fried foods and meat dishes take pride of place on the dinner table. Following four centuries of colonial interaction, the Dutch have taken Indonesian food to their hearts. Many enjoy this cuisine on a regular basis and they snack on unusual treats like salt licorice. But strange treats don't all come from far afield: I was intrigued to find vending machines in Holland filled with deep-fried, breaded savory fare, along with flavorful delicacies such as raw herring which are dipped in chopped raw onions then eaten with the fingers, a fabulous range of Dutch cheeses and plenty of breads and baked goods to enjoy at any time of the day. The next time you are enjoying some barbecued beef brisket or baby back ribs, or even a spicy treat like jalapeño poppers, why not rustle up a hutspot or stamppot as your side dish? Making a change from mashed potatoes or fries, this dish is made by boiling two parts potatoes with one part carrot and one part onion until tender, then draining and mashing with butter, salt and black pepper. If you prefer, swap the carrot or onion for kale. Some people like to use pears or apples and my husband even mashes beets into his! It sounds strange if you're used to plain mashed potatoes, but give it a try—you might like it! If you like apple pie, here is a recipe for you. Apples are used in both sweet and savory dishes in Holland and appelflappen can be enjoyed year-round, though they always make an appearance at New Year. 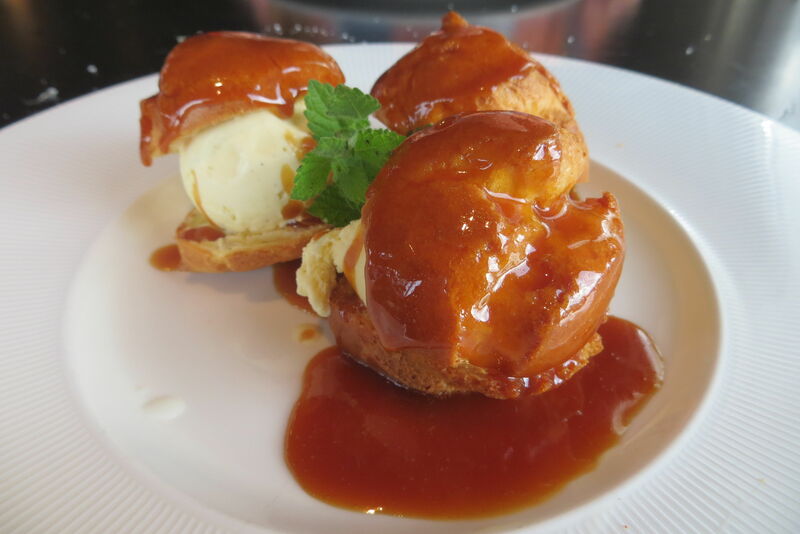 Try these with whipped cream or ice cream, or just enjoy one as a snack on the go. 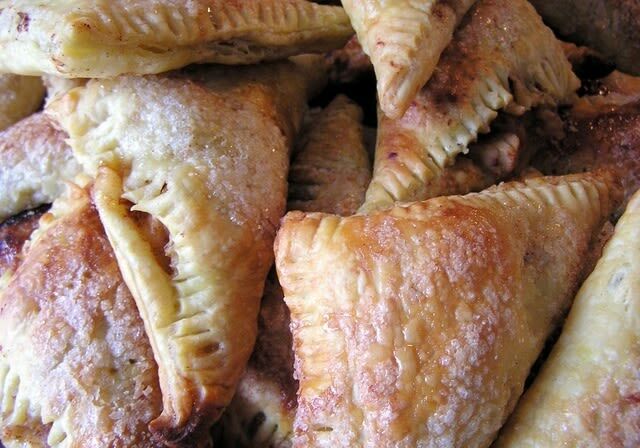 These triangular pastries are sure to appeal to your palate if apple pie is one of your favorites. Soak the raisins, currants and apricots in the apple juice overnight or for at least an hour. Drain the fruit and keep the soaking liquid. Chop apricots finely and combine them with the raisins, currants and apples. Mix in the cinnamon and sugar. Separate the puff pastry squares and fill with apple mixture. Wet the dough edges with some of the reserved fruit soaking water then fold the pastry over to make triangles. Press the dough around the filling and make sure the edges are sealed so the filling doesn't leak out. Arrange the appelflappen on a parchment paper-covered baking sheet and chill in the refrigerator for 30 minutes. Sprinkle a couple of drops of water on each one then sprinkle coarse sugar on top. Bake at 400 degrees on the middle oven shelf for 20 minutes or until golden brown. These are great served warm or cold. People in the Netherlands are into all foods Indonesian. The Dutch arrived in Indonesia in the 1500s looking for nutmeg, pepper and spices during the spice trade, and Indonesia became a Dutch colony soon afterwards. This is when the Dutch adopted Indonesian cuisines. 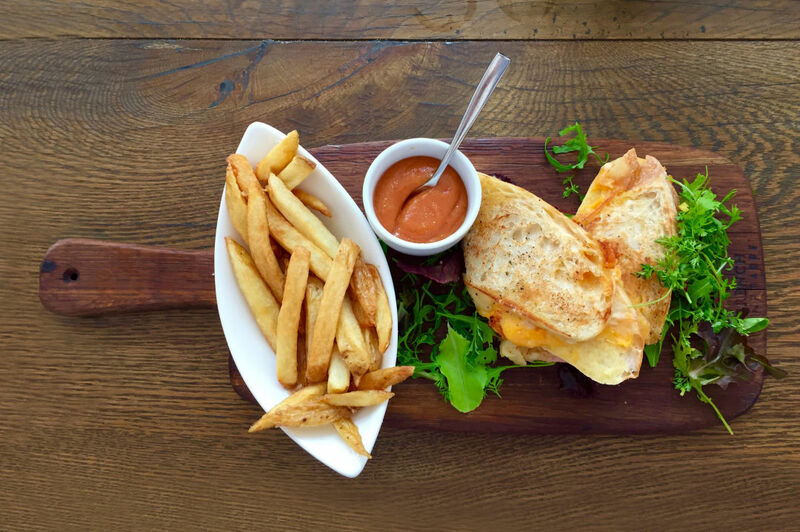 Along with fully Indonesian dishes, fusion Dutch-Indonesian foods are popular, and these might include having satay sauce or pindasaus on fries or adding sambal (hot chili sauce) to something like a cheese sandwich for a vibrant flavor accent. Heat the oil in a nonstick skillet then sauté the garlic for a minute. Add the ginger, lemon juice, sugar, ketjap manis and sambal oelek, and bring the sauce to a boil. Stir in the peanut butter and simmer until thick, stirring often. Serve this satay sauce warm with fries, rice, chicken or pork kabobs. If you want it milder, use less sambal oelek in the recipe. Ketjap manis and sambal oelek are available in Asian food stores. The former is a sweet, thick Indonesian soy sauce, while sambal is a type of chile sauce. So if you want to liven up a plain portion of grilled chicken, why not try this sauce with it to make a change from Texas salsa?